Aruna Jayanthi, the CEO of Capgemini India believes that there are no glass ceilings for people working in the IT sector of our country; it’s a mere myth. The IT department is growing so fast that there is no room for such inhibitions today. She believes in the fundamental principle of men and women bringing different strengths to the table. Aruna, leading one of the largest business units of the Capgemini group, is a woman of broader pictures, and thinks that it all depends on an individual and not on the industry. 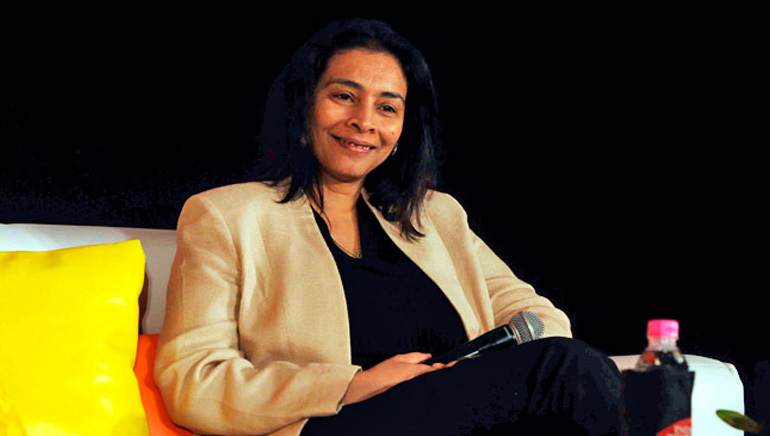 A Pioneer in the IT industry, Aruna has worked with both multi-nationals and pure play companies. Having developed a fascination for technology, she is focused to increase the integration and performance of over 40,000 plus employee base. The strongheaded Aruna has also been the Chairperson of Board of Governors of National Institute of Technology Calicut, and a speaker at numerous events, where she regularly highlights her belief in gender transparency in her segment. A tireless promoter of equality in her sector, Aruna Jayanthi is at the forefront of positive change in the IT sector.